Traveling to a foreign country can be overwhelming. The language can be unfamiliar, the food strange, the architecture bizarre, the clothes exotic. So many foreign observations hit you all at once that your first instinct may be to run back to your hotel room. But it helps to know that culture shock is completely normal, even expected. What you do with it determines whether you dive head-first into the surrounding culture to have the time of your life or run from it and cling to your familiar ways only to realize at your journey’s end that you’ve learned little about yourself or the country you’ve been visiting. 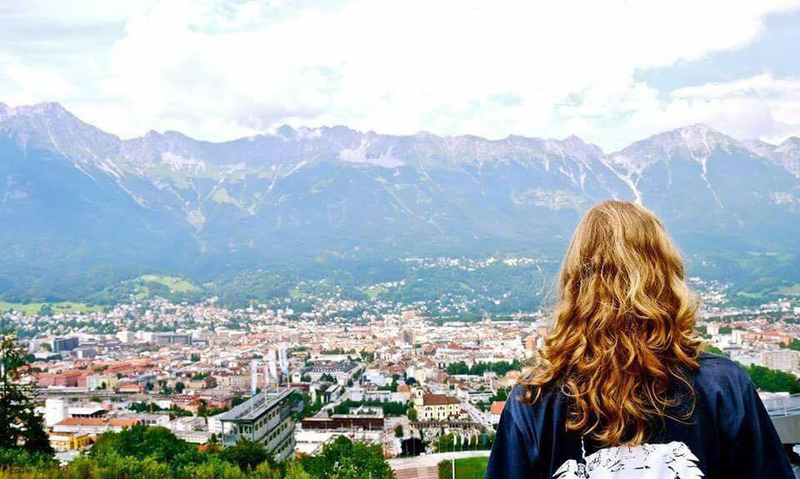 Through the 18 countries I’ve visited, I’ve learned a few ways to feel comfortable abroad. Here are some thoughts. Talking to strangers can be incredibly intimidating, especially if they aren’t fluent in your language. But people are people no matter where they live, and people love to talk about themselves. Take advantage of that. You learn so much about other cultures by talking to people of those cultures, and you come to understand your own culture so much more. Plus, people love to hear you talk about your own culture almost as much as they love to talk about their own. The situation is a win-win, and it becomes clear that many supposed differences or boundaries are imagined. Every time I’ve been abroad, I’ve forced myself to talk to locals everywhere I go. I have met some of the most incredible people who not only made me feel welcome but changed my understanding of myself and the people around me, and I’ve never forgotten it. This may seem obvious, but I was dismayed by how many Americans were beckoned by recognizable golden arches or Colonel Sanders when surrounded by so many foreign foods and signs. People often get homesick abroad, and tasting familiar flavors is a way to feel at home wherever you are. But doing so draws you back into your own ways and marks a clear line between yourself and the natives. The tastes and smells of traditional cuisine are gateways into the culture, and dining at local eateries gives you an easy chance to be surrounded by locals in a casual setting. Common ground is a fast pass to relatability and a sense of understanding. Local food is that fast pass. And you might even discover your favorite new dish. Again, this seems obvious, but let’s look beyond just booking your tourist destinations and hotel rooms. Research the places you are visiting. Learn the history. Memorize some common phrases if the people speak a different language. Understand some of their beliefs and philosophies. Going in with some knowledge of the cultures you’ll encounter will drastically decrease the panic you might have felt had you not done so. Unfortunately, though, knowledge isn’t really visible. Tourists are easy to spot. They also have a reputation for being clueless. The sad truth is that in many places, people will treat you more kindly if they think you belong there. Clothing choice is one simple way to look like you belong, even if you don’t. Know whether the locals dress daringly or conservatively, formally or casually, or in darkly colored or brightly colored outfits, and use that knowledge to choose your own wardrobe when abroad. Following this philosophy has meant the difference between being dismissed from a restaurant because I was foreign and being asked directions because I was mistaken for a local. I wish I could go on, but let’s just stop and summarize: Jump in head first to soak up everything you can. Getting past the initial shock leads to countless memories you’ll never forget.